Trumpety trump tump! Look at Donald Trump go! 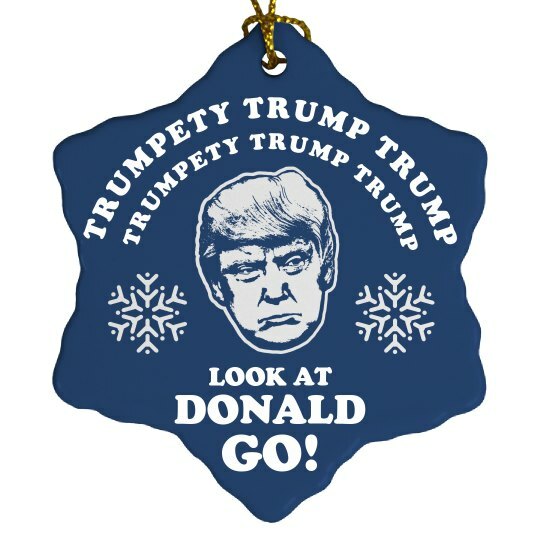 Show your support for Trump and get this cool Christmas ornament with his face on it to hang on your tree. Custom Text: TRUMPETY TRUMP TRUMP | TRUMPETY TRUMP TRUMP | LOOK AT | DONALD | GO!